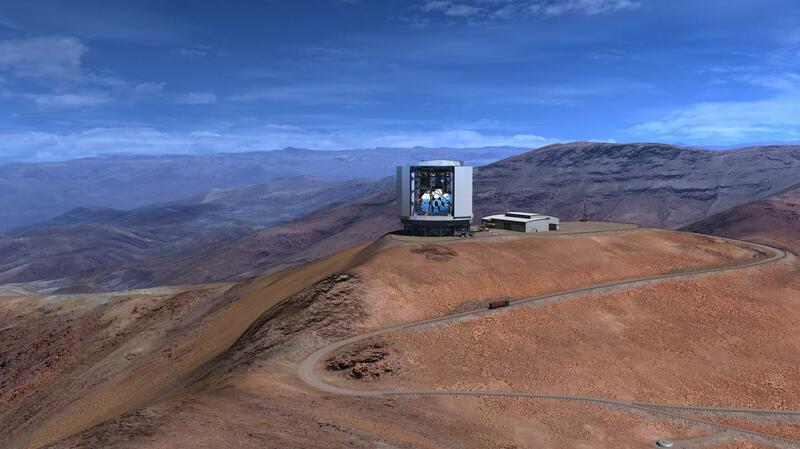 The Giant Magellan Telescope Organization (GMTO) today announced that Arizona State University (ASU) has joined the mission to build the world's largest telescope, the Giant Magellan Telescope (GMT). The project's partnership with ASU will aid in GMT's mission of discovery and its quest to answer some of the most fundamental questions of all: where did we come from, and are we alone in the Universe. The GMT will probe the atmospheres of planets around other stars for signs of biochemistry, and will look back to the early universe to understand how the first stars and galaxies formed. "ASU's research expertise in the study of planets will be a great asset to the GMT project going forward," said Robert N. Shelton, President of GMTO. "The involvement of the ASU team with the James Webb Space Telescope and with the investigation of the early universe is also a critical addition to the knowledge base of the project." ASU's School of Earth and Space Exploration (SESE) has established itself as a leading voice in the fields of exoplanets and space exploration. The mission of the school, to combine the strengths of science, engineering, and education to set the stage for a new era of exploration, aligns well with GMT's mission of discovery. Faculty and students at the school are expected to work with the GMT project over the coming years; particularly Dr. Lindy Elkins-Tanton, SESE Director – a world leader in the study of terrestrial planetary formation and the principal investigator for the NASA Psyche mission to explore a metal asteroid – and Dr. Rogier Windhorst, ASU Regents Professor and interdisciplinary scientist for the James Webb Space Telescope. "Major scientific advances are created by new instrumentation, and to be serious about studying our universe, we need to join in these partnerships," said Elkins-Tanton. "I'm excited that ASU has taken this leap institutionally to be a part of what's going to be a beautiful and transformational instrument." The GMT will combine the light from seven 8.4 meter mirrors to create a telescope with an effective aperture 24.5 meters in diameter (80 feet). With its unique design, the GMT will produce images that are 10 times sharper than those from the Hubble Space telescope in the infrared region of the spectrum. GMT's partners will play a major role in the discoveries that will be made on the telescope, which is expected to see first light in 2023. "Many of humankind's greatest discoveries have happened in preparation for space exploration," said Sethuraman Panchanathan, executive vice president of Knowledge Enterprise Development and chief research and innovation officer at ASU. "Joining the GMT project helps our extraordinary astronomy and space science faculty access this revolutionary telescope and continue to advance their pioneering work in the fields of exoplanets and cosmology." GMTO's partner institutions are Arizona State University, Astronomy Australia Ltd., The Australian National University, Carnegie Institution for Science, Fundação de Amparo à Pesquisa do Estado de São Paulo – FAPESP, Harvard University, Korea Astronomy and Space Science Institute, Smithsonian Institution, Texas A&M University, The University of Texas at Austin, University of Arizona, and University of Chicago.